Prof. Chaolin GU is Professor of the School of Architecture at Tsinghua University and the Vice President of the Chinese Futurology Association, Councilman of Urban Planning Society of China, China Society for Urban Sciences and Geographical Association of China. In addition, he is the member of Science and Technology Committee, Ministry of Housing and Construction and the expert Panel of National Development and Reform Commission (NDRC). Prof. Gu has been visiting scholar in Department of Geography/Planning, University of Toronto in the academic year 1992-93 and in the Center of Urban Planning & Environmental Management, Hong Kong University in 1994 and 1995. He has also been a Visiting Professor at Institute of Social and Economic Geography, Katholie University of Leuven, Belgium. 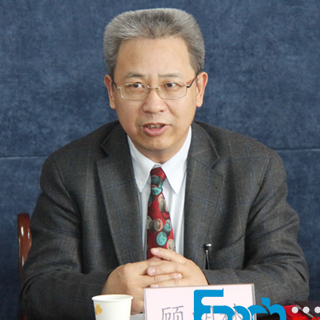 He is mainly engaged in research work in urban and regional planning, regional economics, urban geography in China. Since 1986, he has published 26 monographs and more than 340 papers.